A must-have for every child, this Kidkraft Derby Wooden Rocking Horse is a great gift idea for the little cowboys and cowgirl. Crafted of Heirloom quality, this beautifully made anti-tip rocker is built of solid wood, plush fabric, rope, and acrylic yarn. Every little one should have the opportunity to enjoy their very own hobby horse, and this crafted model deserves the prize. 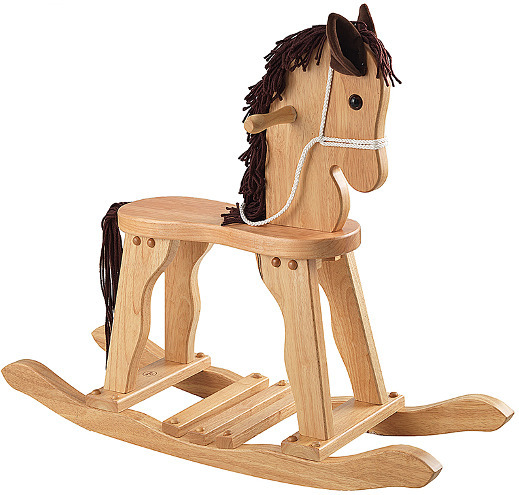 You kids will enjoy hours of rocking on this genuinely lovely Kidkraft Derby Rocking Horse.